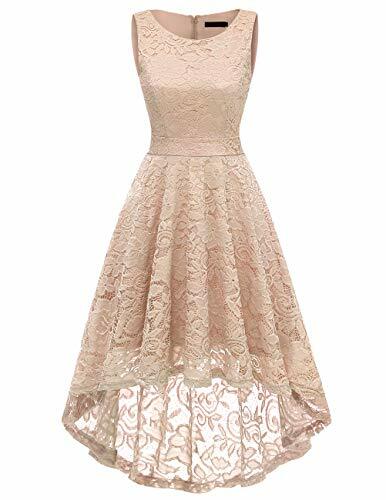 With its elegant and lovely scoop neckline, figure-flattering bodice, zipper-up back, and handkerchief hem asymmetrical length skirt, this elegant retro lace dress is worthy of celebration! With its elegant sleeveless style and delicate lace design in your neckline will match perfectly for your body, this vintage swing dress brings you captivating elegance wherever you go! Wearing this stunning asymmetrical cocktail party gown is always a fashionable chance worth taking! Note: The dress is the Hi-Lo Design, Please pay more attention to the length of the dress! If you have any questions about this product by DRESSTELLS, contact us by completing and submitting the form below. If you are looking for a specif part number, please include it with your message.